The shoes are new without the shoe box. Converse All-Star Tennis Shoes. canvas upper. Style #: 154037F. Type: CTAS OX. Ox sneakers. 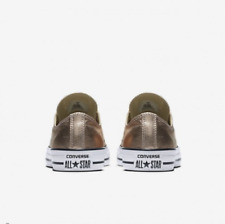 We don’t know where you’ll go, but we know you’ll take Converse to the future with you. Outer Material: Canvas. Canvas upper. Sole: Gum Rubber. Shoe Width: Regular. In excellent condition,see pictures. For any reason. 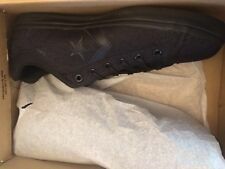 Convers Simpson Hitops Men’s size 10. New with tags. $50 or Best offer, must provide concerned payment within 3 days. 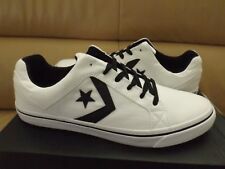 Convers Ctas Ox Geo Skulls. Men 8 Women 10 Geometric With Hidden Skulls. Rare ! 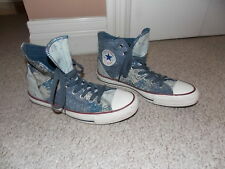 Convers Ctas Ox Geo Skulls. Men 8 Women 10 Geometric With Hidden Skulls. Rare !. Condition is New with box. Shipped with USPS Priority New with box without Top. Converse Ctas Ox Geometric Skull design. Hidden skulls. Out of stock everywhere. Collection must have! Receive this exact pair of shoes. 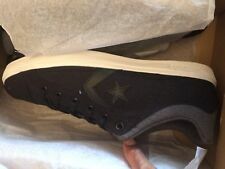 CONVERSE ONE STAR OX. AND 100% AUTHENTIC. NOT ALL BOXES ARE IN MINT CONDITION. KEEP IN MIND WHEN BUYING THAT WE DO NOT PROMISE A MINT BOX. WE CANT PROMISE HOW WELL IT WILL BE HANDLED ONCE IT LEAVES US, BUT WE CAN PROMISE A 100% AUTHENTIC ITEM. Comfortable fit -Low Top -Lace up closure -Glossy material -Rubber sole -Style# 551590C -Size: UK 7, US 9, EUR 40. Insole length - 25,5 cm (10,03"). You want it ?. we aim to get it! With great negotiating skills, we can negotiate the lowest possible price and pass the savings on to our BC Fashion fans!